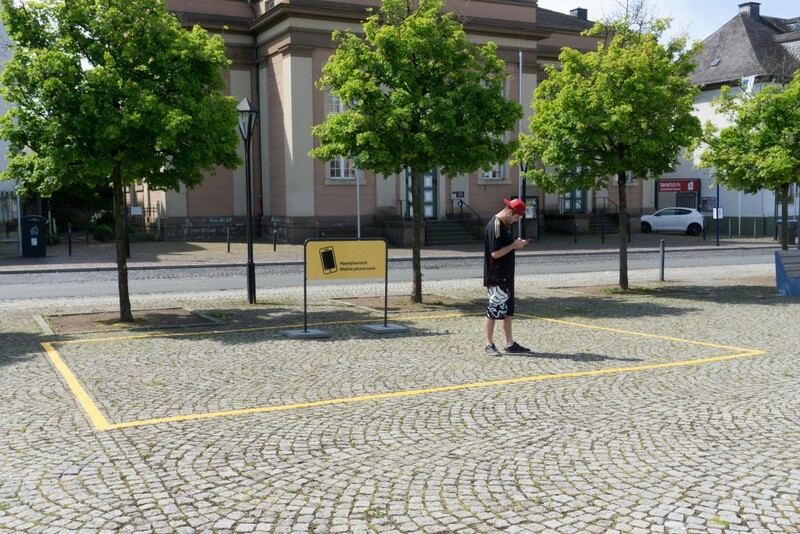 The Deutsche Bahn railway is very much known its smoking areas on open air train platforms all over Germany. 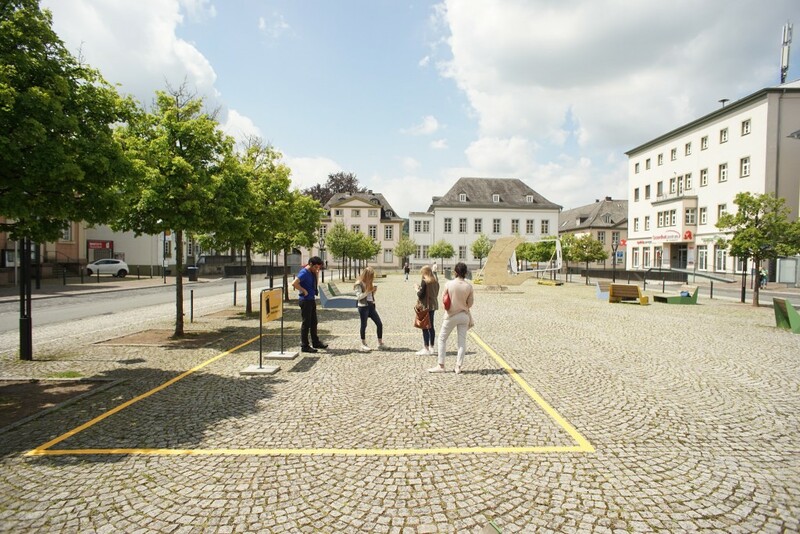 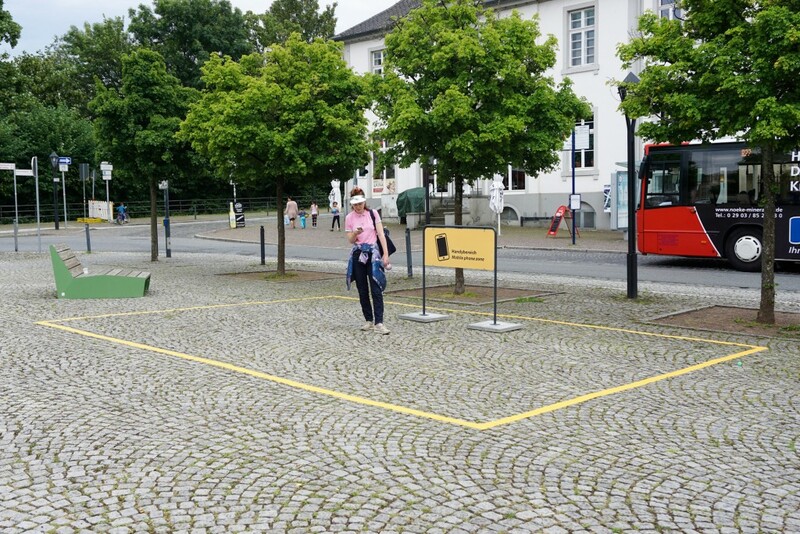 These areas are marked in a rectangular shape with yellow tape on the ground, in a paradox way closing off a ‘virtual’ space bound to a specific function. 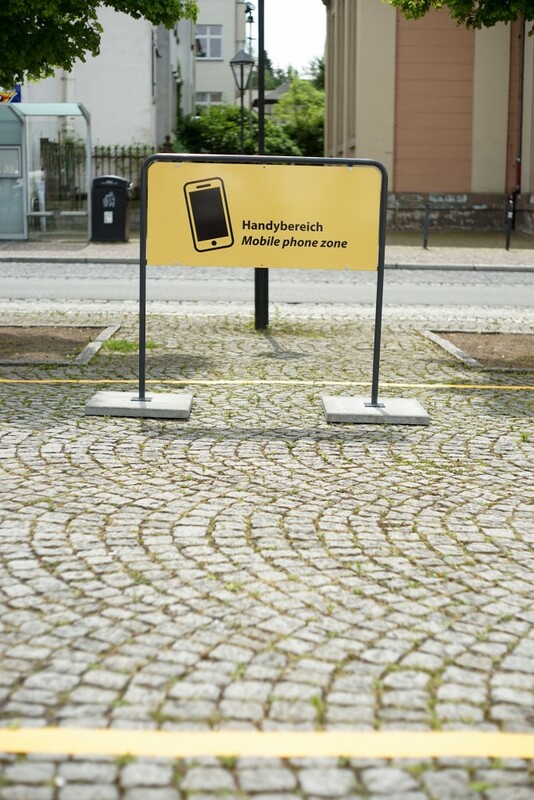 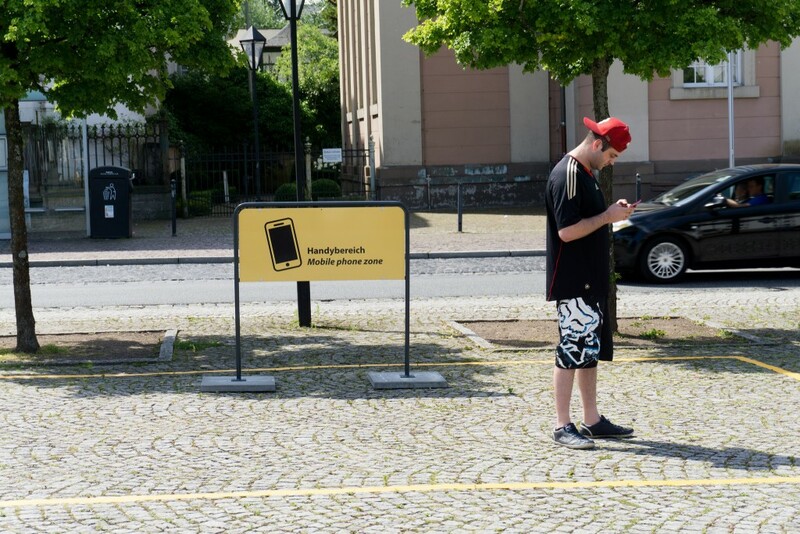 The Phone Zone refers visually to this very concept but instead proposes cell phone use only within the borders of this space.